Teenage girls embark on womanhood when they start dating, driving and applying to college, and quinceaneras and sweet sixteen parties mark such milestones. 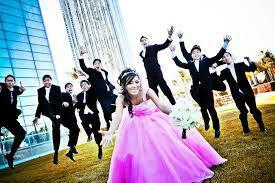 The sweet sixteen parties and quinceanaras of today are relevant to a woman's modern world, and not the ancient past. Even though quinceanaras have many religious and cultural traditions, many non-Hispanic American women are now interested in having similar-themed parties. Whether it be the 15th or 16th birthday, the party is all about the young woman. Both a sweet sixteen party and and a quinceanera mark the coming of age for a young woman. 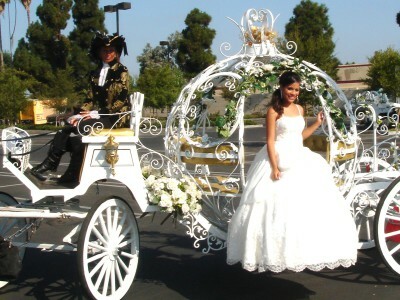 Hispanic culture traditionally considers a woman entering adulthood a year before the sweet sixteen parties that have been popular in the United States for generations, but more Americans are now adopting quinceanera style parties with the larger influence of Latin culture. Gestures to symbolize maturity at a sweet sixteen party might be giving a girl the keys to her first car, but at a quinceanera a young woman is usually given her first pair of high heels. Traditionally, women have worn an elaborate party dress at both quinceanera parties and sweet sixteen parties. Today, a woman having a sweet sixteen birthday party may not wear a party dress, but those who opt to have a quinceanera-influenced birthday party might dress up. 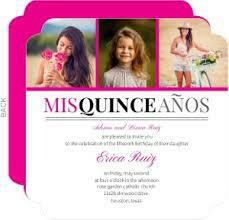 Even at quinceanera parties, the birthday girl might change outfits several times from the more formal gown to more casual attire. Both quinceanera and sweet sixteen birthday parties can be exorbitant. A family will usually save up to give their daughter an elaborate quinceanera, which can often cost as much as a wedding party. Teenagers from non-Hispanic cultures are having an increased interest in having quinceanera-style sweet sixteen birthday parties, and party planners are often hired for such events. Some parents also hire dance instructors to teach their daughters special moves to dazzle the audience at a quinceanera or sweet sixteen party.